The Council passed unanimously, 5 to 0 with two excused absences, a motion rejecting any possibility of a safe injection site in Des Moines at Thursday night’s meeting (Aug. 24). City Attorney Tim George (pictured above) told the Council that safe injection sites are legal places where people can use illegal, injectable drugs “in a non-judgmental environment.” There are no such sites in the United State, he said, with the closest legal site in Vancouver, B.C. Increased discussion of problems with increasing illegal drug use prompted King County to consider such sites in the Seattle area, based on a process now used in Europe. The County Council approved money to open two sites in the county, but cities would have the option to not allow such a site within their borders, George said. One site has been approved in Seattle. Several cities have already rejected site locations, including Auburn and Federal Way, with Kent imposing a moratorium on such a facility there. Resident Matt Mahoney, a candidate for a Council seat in November, told the Council he thought safe drug injection sites would be “ridiculous” and bring problems to the city, and he asked the Council to tell King County no to putting such a location in Des Moines. Another candidate for Council, Harry Steinmetz said he also opposed the safe injection sites because it was not a good solution to the drug problems. Councilmember Rob Back said, “of course I oppose thee” but added the issue will not go away and will possibly become a bigger issue in time. Des Moines Police have opposed such a site and the Council later said no to safe injection sites in Des Moines. In other action, the Des Moines Council confirmed the appointments of five residents to the Ad Hoc Aviation Advisory Committee. They are Sheila Brush, Steve Edmiston, David Clark, Wendy Ghiora and Mark Proulx. The group is similar to ones appointed by the cities of Burien and SeaTac. The Des Moines committee is to be led by City Manager Michael Matthias. Resident Laurie Mceachern, who lives in the Marina area, said the city staff has done a good job of overseeing new paid parking problems and suggested working to get people who opposed the become supporters. She also suggested some adjustments in the fees so people can pay more easily. A big thank you to our Des Moines City Council! Without safe injection sites we keep things how they are, where people are shooting up in the streets and throwing their needles on the ground for others to come across. Safe injection sites aren’t the end game, but are better than what we have. “Tough love” doesn’t need to involve letting someone die when there are medical treatment options (for opiate addiction issues) available. We need to make sure a continuum of care is available to address it. Someone using illegal substances who experiences an overdose or potentially fentanyl poisoning from tainted drugs, is undergoing a serious medical condition that deserves immediate emergency medical care first, regardless of the cause. Continuing the patient immediately on to treat the addiction that is driving the medical crises should be considered part of the necessary medical care, to reduce the rates of recurrence, in my opinion. That includes supportive outpatient followup care somewhere. I don’t think that attempting “safe” injection sites as a standalone belong in a smaller residential community. They would need a infrastructure of caregivers nearby available at the county level. Communities are right to be concerned. They save people’s lives but don’t affect addiction rates. boo! my cousin recently died from heroin overdose. a few weeks before she said if there was a safe injection site she’d use it. if there was one she’d still be alive today. 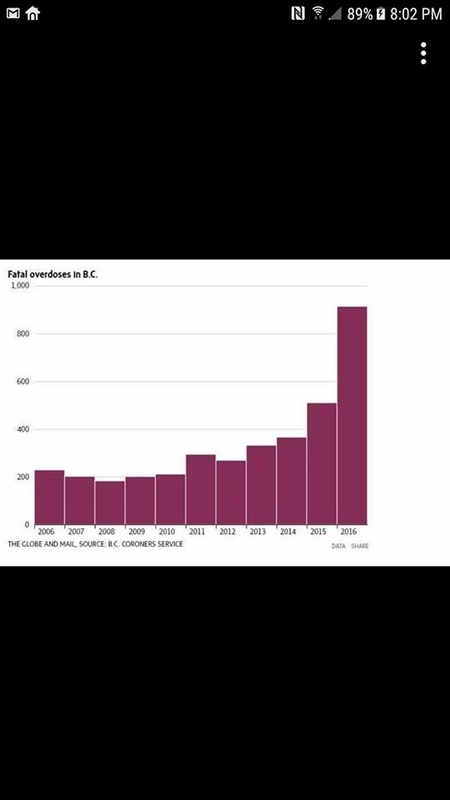 In Vancouver’s safe injection site there was 0 overdose deaths despite thousands of people using it. Portugal is held up as the gold standard for “decriminalizing” drugs and not “judging” the addict. Their programs has some success due to wrap-around services and is mandatory. Drug dealing is still illegal and dealt with harshly. Other EU countries tried to emulate the program. With the 2008 recession, their budgets were slashed for the addicts in program and caused overdoses, increased crime, and increased disease transmission, increased homelessness. Can you see us having an Injections Site AND wrap-around services? I don’t believe there will be funding for both. Why not use any proposed funding and increase needed detox/rehab facilities and sober living environments along with all the needed physical/mental health and social services. The way I see it, Injections Sites are prolonging the suffering and misery of the addict with the usual end result of death. Which would be more compassionate? On the subject of the effects of SIFs, the available research is overwhelmingly positive. Evidence can be found in support of SIFs achieving each of the goals listed at the beginning of the evaluation. In terms of our level of confidence in these studies,the assessment offered here is far less sanguine. In truth,none of the impacts attributed to SIFs can be unambiguously verified. As a result of the methodological and analytical problems identified above, all claims remain open to question. Vancouver’s INSITE service and other Supervised injection sites: What has been learned from research? “Although research appears to bear that out, many of the studies that attest to Insite’s success are small and limited to the years after the center opened. 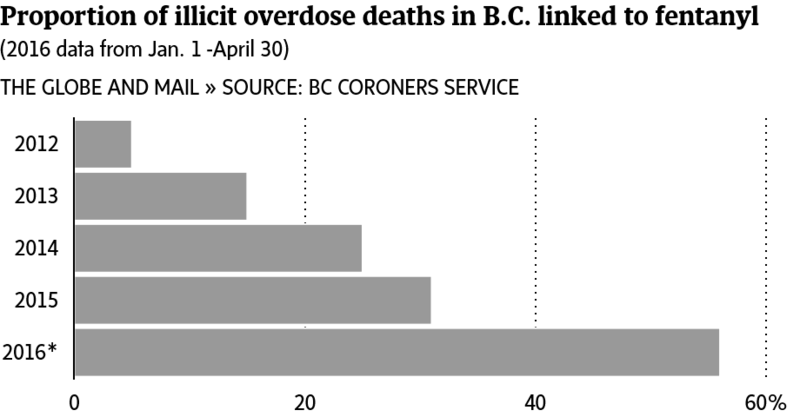 For instance, a 2011 study published in the journal The Lancet found a 35 percent reduction in overdose deaths in the blocks surrounding Insite, versus 9 percent in the rest of Vancouver. The Vancouver Insite was placed in a crime-ridden, drug-ridden, low-income neighborhood. It only got worse. “Although the Insite center is a model, the Vancouver neighborhood surrounding it is nothing to emulate, advocates acknowledged. What do you think would happen if this was placed in a middle-class neighborhood, or, ANY neighborhood? The 100% positive studies on Vancouver’s Insite (Safe Injection Facility) was done “Early last decade, Montaner and Kerr lobbied for an injection site. In 2003, the Chretien Liberals acquiesced, gave the greenlight to B.C.’s Ministry of Health, which, through Vancouver Coastal Health, gave nearly $1.5 million to the BC Centre (that’s Montaner and Kerr, you remember them) to evaluate a three-year injection site trial in Vancouver. “Self-reports from users of the INSITE service and from users of SIS services in other countries indicate that needle sharing decreases with increased use of SISs. Mathematical modeling, based on assumptions about baseline rates of needle sharing, the risks of HIV transmission and other variables, generated very wide ranging estimates for the number of HIV cases that might have been prevented. The EAC were not convinced that these assumptions were entirely valid. No studies have compared INSITE with other methods that might be used to increase referrals to detoxification and treatment services, such as outreach, enhanced needle exchange service, or drug treatment courts. Some user characteristics relevant to understanding their needs and monitoring change have not been reported including details of baseline treatment histories, frequency of injection and frequency of needle sharing. Should we follow the money? Who would be profiting bigly from the increased use of naloxone? “Setting up free injection sites to deal with the recent spate of drug overdoses does not address the root of the opioid problem, says Ted Brown, executive director of Brampton’s Regeneration Outreach Community. Jamie Graham, former chief of Vancouver Police has outlined the successful model of dealing with an epidemic: Support, mandatory treatment, abstinence, and counseling as all part of the solution. My recover(ed)(ing) addict friends say they would agree. Young finds out how they did it, and why other countries won’t follow suit. This comment is to the folks who are in favor of injection sites. If you are interested in having drug addicts hanging around 24/7 and the homeless trashing your neighborhood, I suggest you invite them into your personal space. Nothing good will come from an injection site being placed in Des Moines. Expect a four block radius of neighborhood blight and your property values decreasing. Try selling your home afterwards. I would no buy your house. I know. I have an addicted brother and he alone has disrupted every family member’s family to the point where we had to kick remove his presence from all of our homes. He has stolen so much from us and this includes our parents. He is now is in another state and still living a worthless life after many stints in rehab. SAY NO TO INJECTION SITES. THANK YOU City of Des Moines for rejecting! After reading this blog and hearing so many perspectives on this subject, including Vancouver’s site, my heart does go out to the addicts and their families. The bottom line is that this drug use is illegal and legal places to practice illegal drug use is just unacceptable. There are paths to sobriety if someone really wants it and that is the key here. We cannot ignore there is certainly a mental health issue to be addressed with addicts who live on the streets. The answer is not to continue to enable people by giving them resources and NO accountability to change their lives. I have a dear friend who is a psychiatrist for Seattle Mental Health. Sure would like to see resources directed toward mental health and NOT to giving addicts a place to make excuses for their addiction and use of illegal drugs.